It’s been a while since I’ve done one of these! 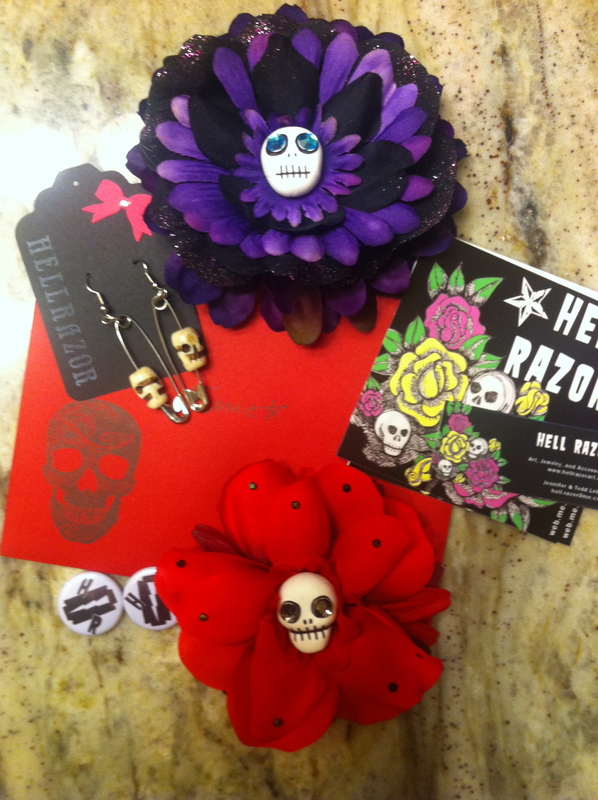 The other day I received a nice little package from Hell Razor, my latest find in cute rock-n-roll accessories. Sometimes with Etsy purchases you have to worry about the quality of these handmade items…but everything I received is sturdy enough to wear to my shows and not worry about. And it all came very nicely packaged. Hell Razor is a jewelry, accessories, and art business. We operate out of our home in the Chicago suburbs, with a little help from our rescue dog, Motorhead. Todd & I are both art teachers by day. 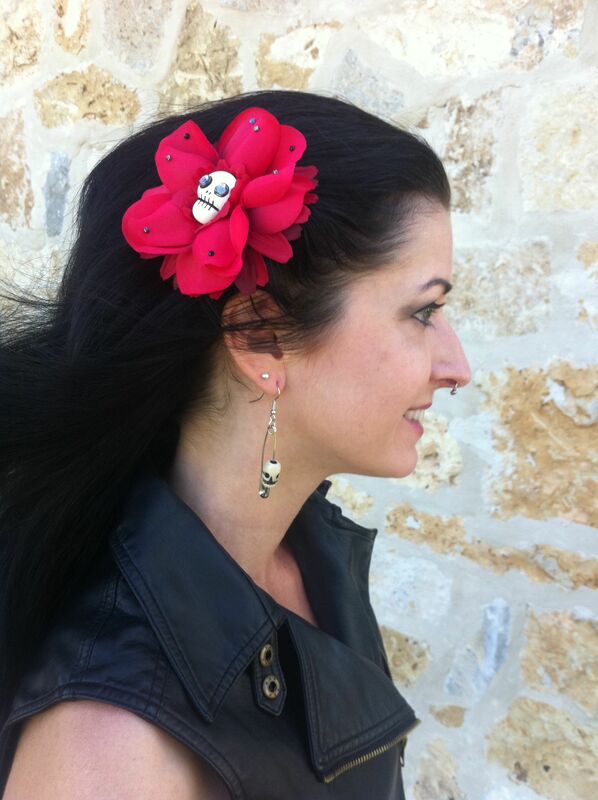 Our hand-made skulls are the finishing detail on many of our truly unique hair bows, flowers, and headbands. We have an individual eye for design and pay careful attention to quality. We also combine new and vintage jewelry parts into one-of-a-kind pieces for everyday wear. Our jewelry is the only blend of vintage, modern, and heavy metal design to make you stand out in a crowd. They can make custom pieces for you as they did for me- contact hell.razor (at) me.com for more info! I unleash my inner Bettie Page here. Ranges from cute to stripper-y, and affordable to expensive. cute. cheap. ’nuff said. Visit Fred Flare here.